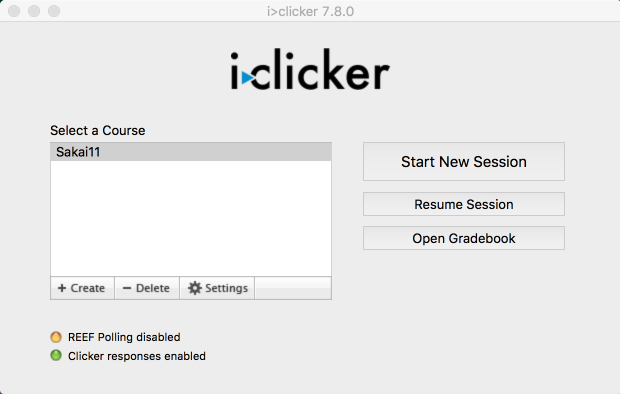 Instructor User Guide iClicker ClassicHow do I run a session? Make sure you have opened the i>Clicker application. 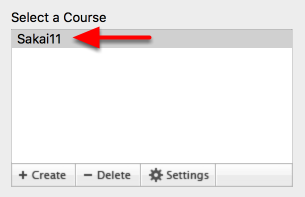 Select the course where you want to run the session. 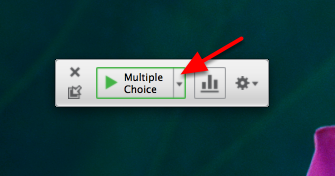 You will see the floating toolbar appear on your desktop. You can change the question type from the default Multiple Choice by opening the dropdown menu to the right of the question type. 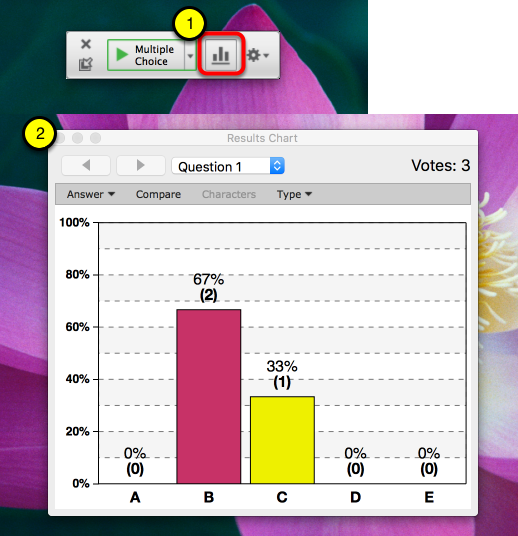 Besides multiple choice you may choose Numeric and Short Answer. **NOTE: Keep in mind that if your participants are using physical response devices (clickers) they will not be able to answer a short answer question. Click on the Play button to begin the polling session. You will get a message that tells you what frequency your base station is running on. 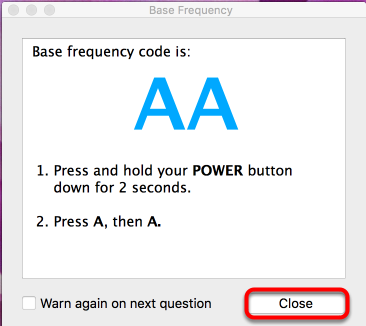 Make sure your participants' devices are set to the same frequency and click Close. Display/ask your question and when ready to stop click on the Stop button. 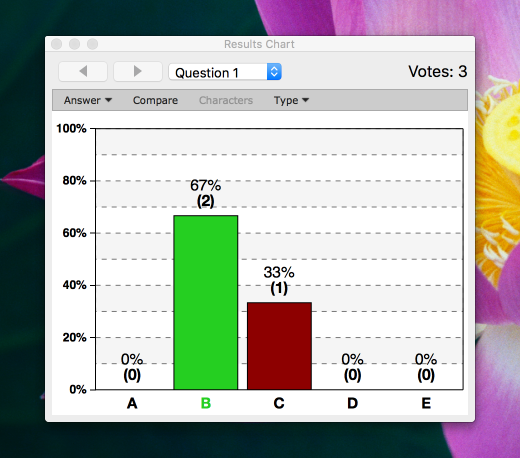 While you are showing the poll results, you can click on the bar that corresponds to the correct answer. The bar will turn green while all other bars will turn red. To close out a poll click on the X at the upper left of the floating toolbar. Prev: How do I import my Roster? Next: How do I view the session results?